← Who owns the berries? 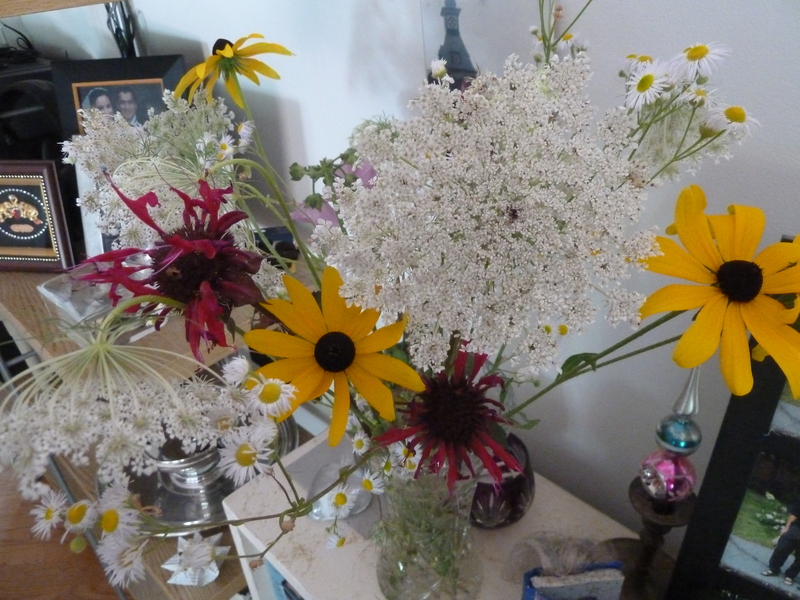 This afternoon I went for a walk to pick wildflowers. On my way home, flowers in hand, I was stopped by a neighbor as she was pulling out of her driveway. “Do you like hydrangeas?” she asked. When I replied that I did, she suggested I pick some from the bush outside her bedroom window, where they were growing abundantly. Then she added, as an afterthought, that if I wouldn’t mind picking a few for her also and leaving them by her front door since an injury made it hard for her to get back there, she would greatly appreciate it. 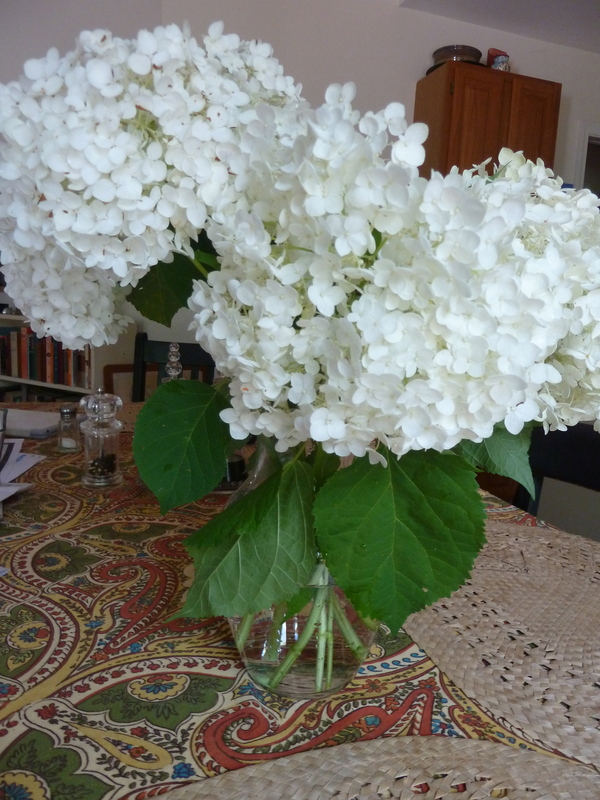 So we each ended up with a nice bouquet of hydrangeas. Quite a different experience from my encounter with the berry lady. This entry was posted in nonedibles and tagged flowers. Bookmark the permalink.